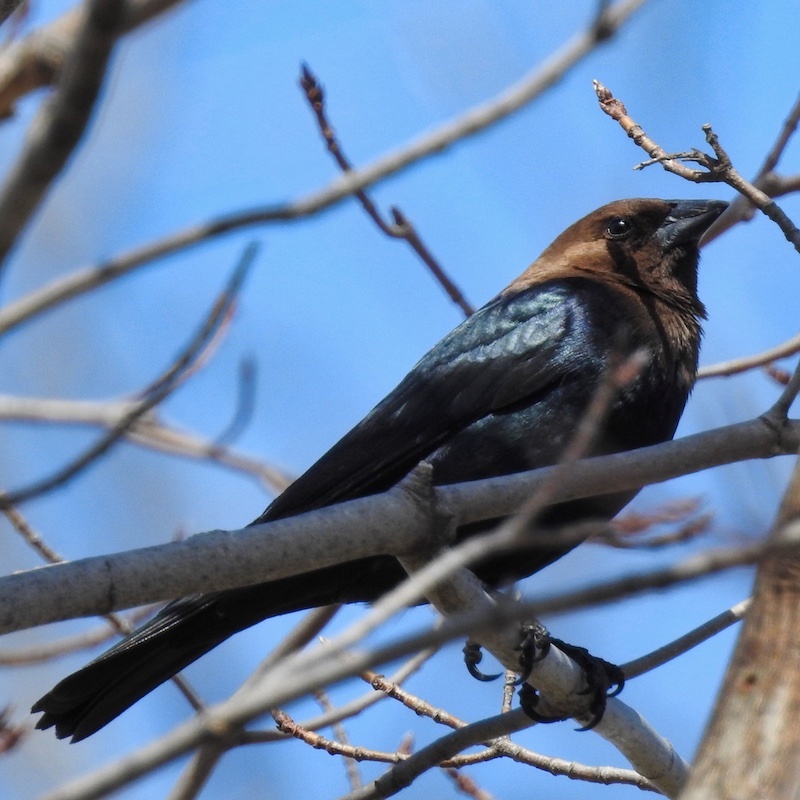 Brown-headed cowbirds are common urban birds, but easy to miss. The males are black with glossy brown heads whose color is hard to see outside of direct sunlight. The females are brown. Neither are much bigger than house sparrows, and they often hide out among other blackbirds.